Beginning in March, The Jewish Museum will present a major exhibition of sculpture from the 1960s featuring the work of artists from Latin America, Asia, Africa, the Middle East, and Eastern Europe, much of which has rarely been seen in the United States. Presented in two parts, Other Primary Structures revisits the premise of and builds upon the Museum’s seminal 1966 exhibition Primary Structures: Younger American and British Sculptors, the first American museum exhibition to survey the style now known as Minimalism. 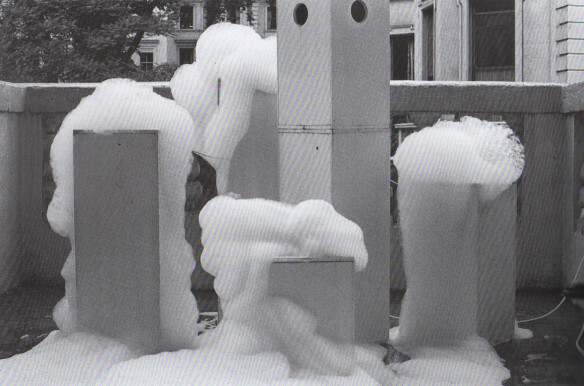 Primary Structures introduced the public to such artists as Carl Andre, Dan Flavin, David Medalla, Donald Judd, Sol LeWitt, Walter De Maria, Robert Morris, Anne Truitt, and others—figures unknown at the time but soon to become synonymous with a radically new approach to sculpture. Nearly 50 years later, Other Primary Structures revisits this formative moment in art history while also reexamining the period from today’s far more global perspective. The first part of the exhibition titled Others 1, on view from March 14 – May 18, 2014, examines work created between 1960 and 1967, while Others 2, on view from May 25 – August 3, presents work created between 1967 and 1970, some of which was directly influenced by the 1966 Primary Structures exhibition at The Jewish Museum. A partir de março, o The Jewish Museum vai apresentar uma grande exposição de esculturas da década de 1960 reunindo trabalhos de artistas da América Latina, Ásia, África, Oriente Médio e Europa Oriental, muitos deles raramente vistos nos Estados Unidos. Apresentado em duas partes, Other Primary Structures revisita e constrói a partir da premissa da exposição Primary Structures: Younger American and British Sculptors, a primeira exposição do museu americano a examinar o estilo hoje conhecido como Minimalismo. Primary Structures introduziu ao público artistas como Carl Andre, Dan Flavin, David Medalla, Donald Judd, Sol LeWitt, Walter De Maria, Robert Morris, Anne Truitt entre outras figuras desconhecidas na época, mas que logo se tornaram sinônimo de uma abordagem radical e nova para a escultura. Quase 50 anos mais tarde, Other Primary Structures revisita este momento de formação na história da arte e ao mesmo tempo reexamina o período a partir da perspectiva de hoje, muito mais global. A primeira parte da exposição intitulada Others 2, em cartaz de 14 de março – 18 de maio de 2014, examina os trabalhos criados entre 1960 e 1967, enquanto Others 2 , em cartaz de 25 maio – 3 agosto, apresenta trabalhos criados entre 1967 e 1970, alguns dos quais foram diretamente influenciados pela exposição Primary Structures, de 1966 no The Jewish Museum.